Magento 2 Product Testimonial by Meetanshi helps to showcase customer reviews on a separate page with an amazing look to increase store credibility and impress visitors. A separate page to showcase testimonials. Allow testimonial submission to the selected customer groups. "Your brand is what your customers say about you!" 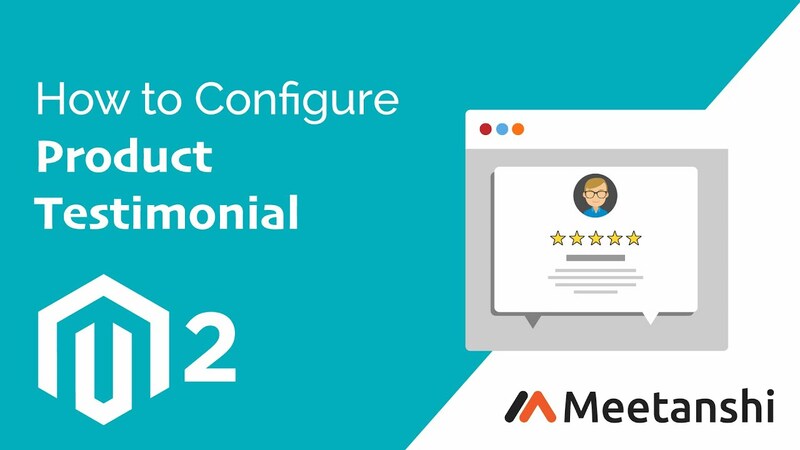 Flaunt all the good things your customers say about you with Meetanshi's Magento 2 Product Testimonial extension. In an E-commerce business, the shoppers tend to go through the reviews of customers before making the purchase as they themselves are not going to check the product personally. Good reviews create a very good impact on potential customers and push them for conversion. Magento 2 stores are no exception and admins must have a system to manage the product reviews to display them on store frontend. The Magento 2 Customer Reviews helps admin to display the customer reviews in an attractive manner for visitors to read and win their trust! Magento 2 Customer Reviews extension allows admin to manage the reviews from the backend, i.e., approve or disapprove before testimonial display, allow only specified customer groups to submit a review, etc. Customers can give their reviews, ratings on a scale of 1 to 5, upload their image and nickname. Magento 2 Customer Reviews and Testimonials extension not only helps to boost the sales but also improves the credibility of the store and makes your brand trustworthy. Option to allow testimonial submission to the selected customer groups only. Set to show submitted product testimonials only after the admin approval. Option to show the product testimonial page URL in the top link and in the footer as well. Enable privacy checkbox with the custom text to get the consent of personal data display on the testimonial page to comply with EU's GDPR. Send customers with thank you Email for sharing the testimonial. Magento 2 admin gets the Email notification immediately after a customer submits product testimonial. All the submitted testimonials can be seen together in a separate testimonial page. Customer’s name, image, review, star ratings are shown on the testimonial page with an attractive look. The testimonial slider and page is fully responsive. I can flaunt the reviews earned!